Several organisations, including Hindu groups, will hold peaceful rallies outside the White House to protest against human and religious rights violations in Pakistan when Prime Minister Nawaz Sharif would meet US President Barack Obama on October 22. While members of the Muttahida Quami Movement and Sindhi community would be protesting against human rights violations in Karachi and Sindh, supporters of the Free Baluchistan Campaign plan to hold protest against the atrocities of the Pak Army in Baluchistan. A number of Hindu-Americans would peacefully protest against Sharif against continued terrorist safe havens inside Pakistan and urge the US to stop giving financial aid to Pakistan. The World Hindu Council of America and Hindu American Foundation (HAF) along with other religious groups have urged Obama to address religious freedom violations in Pakistan during his meeting with Sharif.The group is also scheduled to hold a peaceful demonstration against Sharif. In a statement, Free Baluchistan Campaign USA said its rally is meant to protest Pakistan's war crimes and crimes against humanity which continues unabated in Baluchistan, France-sized territory illegally occupied by Pakistan in March 1948. 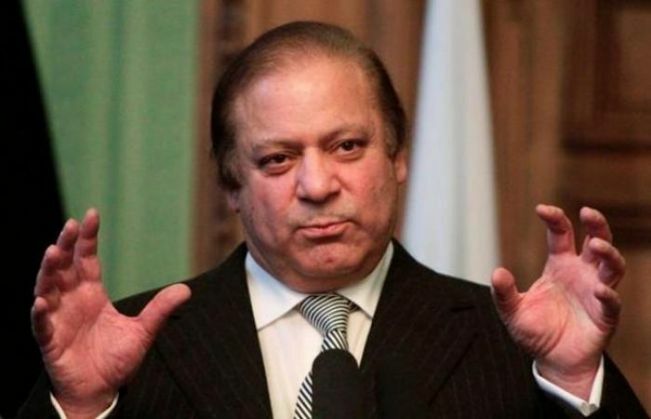 "Press reports say Sharif s entourage includes former corps commander of Baluchistan Lt-General Naseer Janjua, the main architect of war crimes and crimes against humanity in Baluchistan," said Ahmar Mustikhan of the Free Baluchistan Campaign USA. In a statement, Sufi Laghari of Sindhi Foundation urged Sharif to take immediate steps to curb activities of Hafiz Saeed and his organisation in Sindh. "I would like to demand Obama administration to pre-condition flow of non-humanitarian aid to Pakistan with improvement of human rights situation and concrete action against Jihadi networks like Hafiz Saeed's," Laghari said. This is probably for the first time in recent decades that a visiting Pakistani leader would be facing peaceful protest in front of the White House in Washington DC a city where Pakistani leaders have normally received a red carpet welcome. Video: 'Munnabhai' moment at civil hospital in Ahmedabad, staff performs Garba in ICU ward!